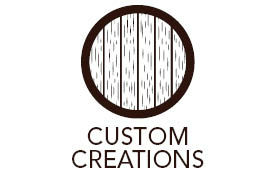 Restoration, Reclamation, Repurposing, and Custom Carpentry from Chicago, Illinois. We Reclaim. We Repurpose. You Reinvent. We love combing the countryside for high-quality antique wood from old buildings, barns, fences and almost anywhere else you can imagine. We do it because we love it. DIYers will discover a vast array of materials like barn wood, beams, flooring, doors, and more. Dreamers can talk to us about how we can custom-craft any idea into something special. "If we're here we'll open the door" please call 262-764-9366. All content © 2017 Against the Grain LLC and may not be used without permission.